 Catherine wanted a delicate and intimate atmosphere for her wedding day and, we had the perfect wedding venue for her: an ancient villa hotel in Varenna! Varenna town centre is the ideal wedding destination for a couple who wish for a simple and homely style venue. Varenna is located on Eastern side of Lake Como. It offers many belvedere points. Many romantic corners are located just few minutes walking distance from one another. You will see here wonderful villas and amazing gardens, perfect venues for your wedding.  Susan and Conor tied the knot in beautiful Church in Varenna, on Eastern shores of Lake Como. They opted for a hot pink themed wedding. A wonderful deep color that enriched beautiful venues they chose for their wedding celebrations. It created a joyful and warm atmosphere. After a touching ceremony Susan and Conor reached Villa del Balbianello by boat, for a wedding photo session together with both families and friends. Later, they lead to the most luxury Hotel in Tremezzo for an over the top wedding reception.  John and Adrienne got married in August and they chose us as their wedding planners for their special day on Lake Como. 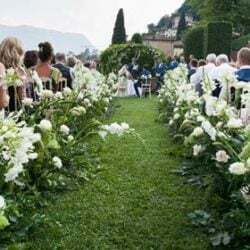 They chose Villa del Balbianello for their civil ceremony and a lovely Villa in Varenna, on the other side of Lake Como, to enjoy a fantastic reception dinner. 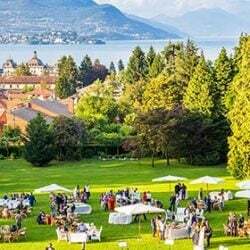 Both venues are simply breathtaking and just perfect for a romantic destination wedding on Lake Como! Just Married – September 2015 » A wonderful way to close our 2015 wedding season!  We waited a little more to get back to our readers to tell you about all our lovely couples who got married in September 2015. We had a quite busy month up to the very end of it. Here you will see our final wedding of this fantastic 2015 wedding season. With this post we would also like to thank all our couples who chose us and all professionals who worked with us as a perfect Team. 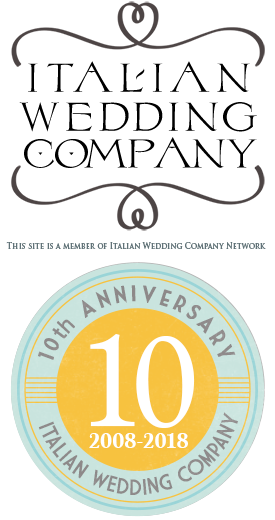 Just Married – August 2015 » A real Italian Summer for our Weddings! August is the turning point of Summer season. One of the hottest months in Italy. Temperatures are high and most of Italians go on vacations to the seaside, abroad or to the mountains. But this is working time for us! 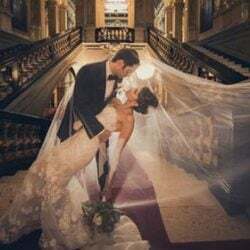 As every months we have had many weddings we would love to tell you about!